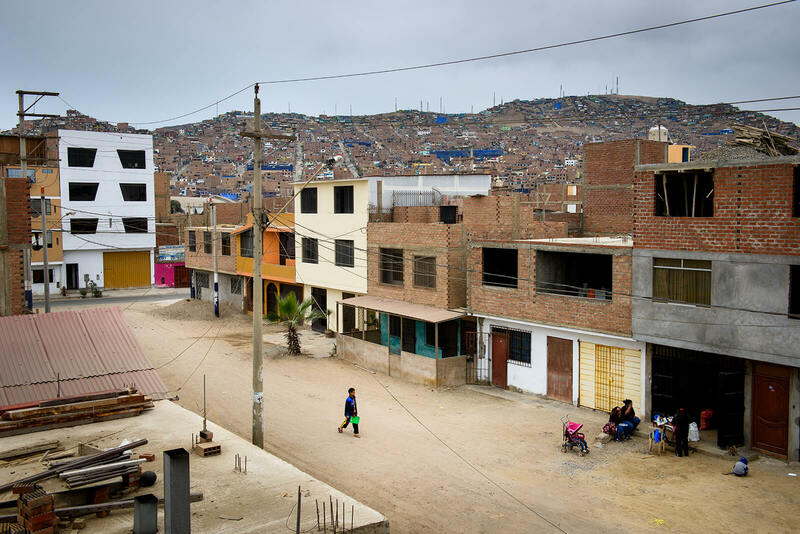 God is at work in these districts of Lima, Peru. 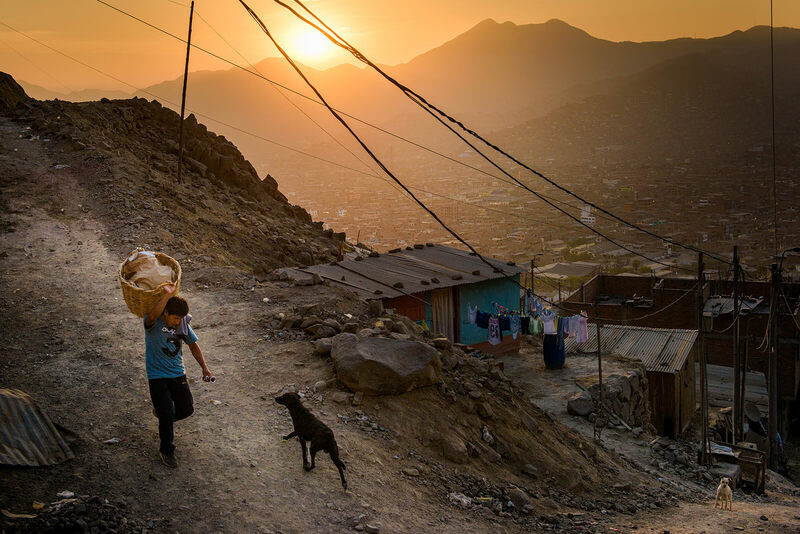 LCMS missionaries work tirelessly to bring the Good News of Jesus to the people of this South American city, thanks to the donations and prayers of Christians in LCMS congregations. Lima is one of the largest cities in the Americas. 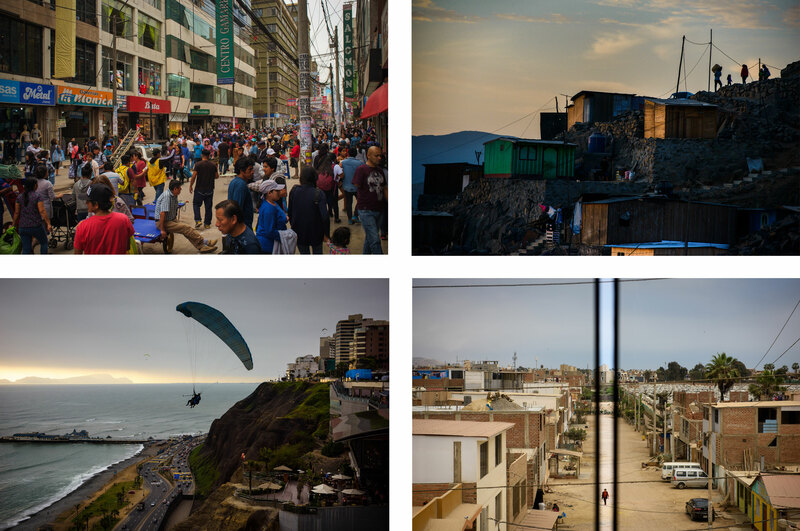 Roughly 10 million people live there, which means that Lima contains one-third of Peru’s population. 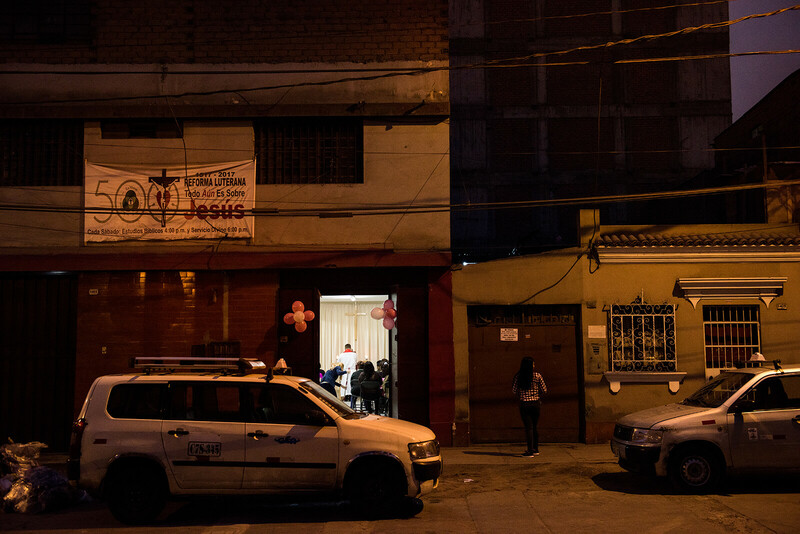 Lima is a Roman Catholic city, but as is all too common today, few people are active in their faith. The LCMS Office of International Mission works to ensure that people hear the Good News that changes lives. From top left: The daily congestion of the Gamarra textile district. The rocky hillside of San Juan de Lurigancho. The touristy area of Miraflores with its high-end shops and restaurants. The developing neighborhood of Chorillos. 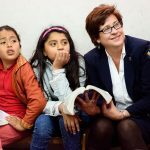 The staff of the LCMS’ Lima mission teach children the faith through Castillo Fuerte: Casa de Misericordia, with the hope that the children will hear and believe and, as a result, their parents will hear from their children and come to learn as well. The children bear witness to Jesus in their community and schools as well as in their homes. “God is our refuge and strength” (Ps. 46:1). Castillo Fuerte is a refuge for children who need a safe place. Each Castillo Fuerte location offers food, care, tutoring and, most importantly, Jesus. Castillo Fuerte is also a Casa de Misericordia (House of Mercy). “But God, being rich in mercy, because of the great love with which he loved us, even when we were dead in our trespasses, made us alive together with Christ — by grace you have been saved” (Eph. 2:4–5). “Castillo Fuerte is needed because parents are often in a situation in which they are unable to provide for their children,” said the Rev. Eddie Hosch. Here, he waits for worshipers to arrive at the center in La Victoria. Currently, there are three Castillo Fuerte sites throughout Lima: La Victoria, San Juan de Lurigancho and Chorillos. 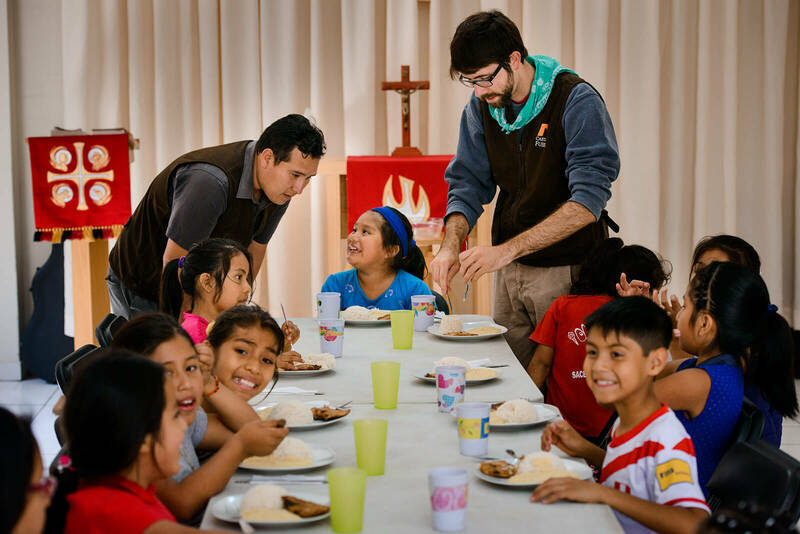 La Victoria and San Juan de Lurigancho also are church plants, and Chorillos is working toward offering confirmation classes and further Christian education opportunities. 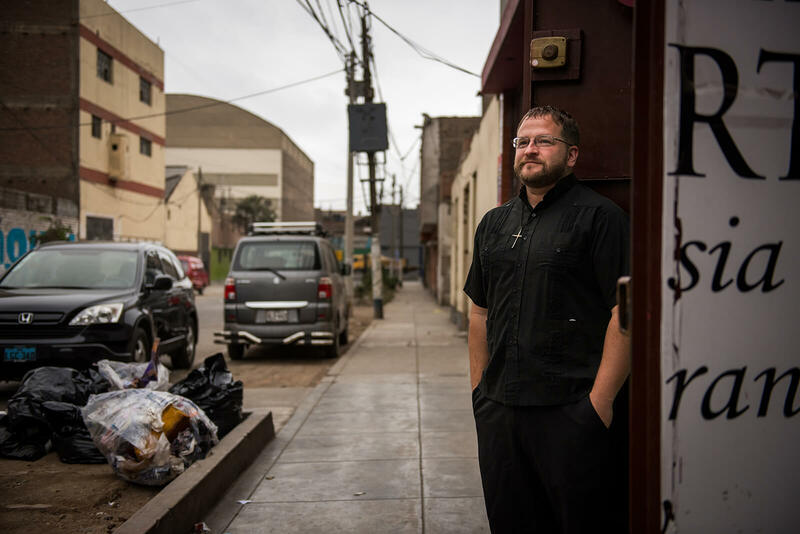 The mission also operates two other locations in Lima: San Borja, which houses the mission office, a church plant and a teaching center; and Los Olivos, which hosts a congregation. Watch as the Rev. Eddie Hosch talks about his call to be a missionary in Peru. The journey to Castillo Fuerte San Juan de Lurigancho requires a public train packed with Peruvians, a public bus that haphazardly weaves in and out of traffic, and a motorcycle converted into a people transport. And then the adventure begins. Even the makeshift transports can’t ascend the hill. The unpaved rocky dirt “road” reflects the government’s refusal to recognize the neighborhood’s existence. Dusty roads filled with chickens, stray dogs and garbage head straight up the side of the mountain in the middle of the cerros. 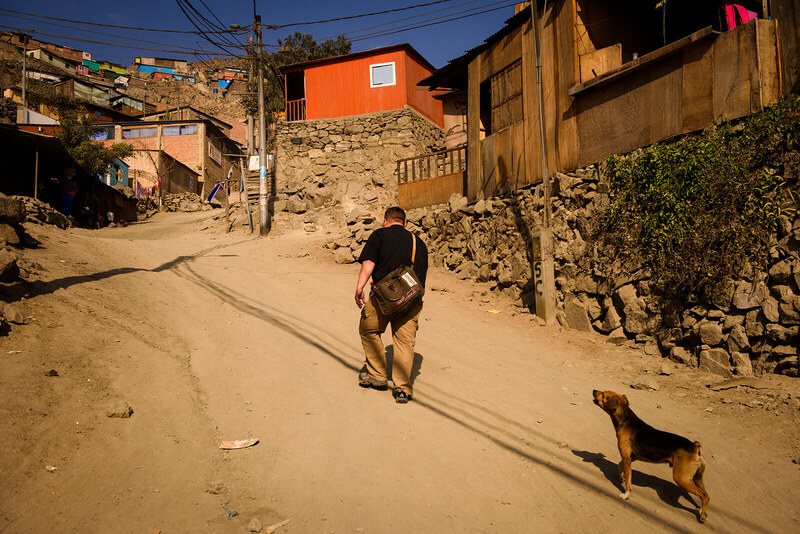 A street dog barks at Hosch as he treks up the dusty hill toward Castillo Fuerte San Juan de Lurigancho. After the long ride and the arduous ascent, covered in dust and with burning legs, Hosch finally arrives at Castillo Fuerte San Juan de Lurigancho. Children whose lives are defined by their environment of poverty and, in many cases, dysfunction run to their pastor for a hug, a high-five or even a quick dance. He is their pastor, not because they belong to his church, but because he teaches them the Word of God. 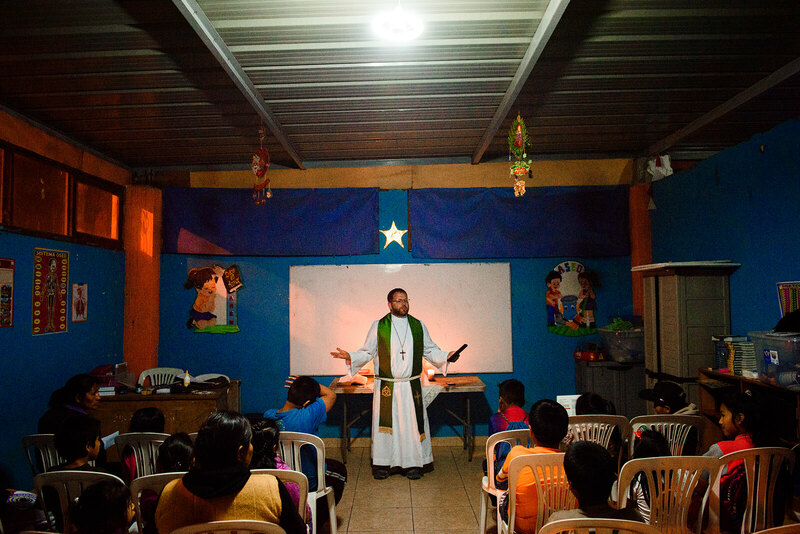 On Tuesdays, Hosch holds Divine Service for the community of San Juan de Lurigancho. The vast majority of his congregation are children, including teenagers and young adults. They come without their parents and by their own choice. Due to the lack of instruments and musicians, the children have learned to sing the liturgy a cappella. The sun sets over San Juan de Lurigancho. 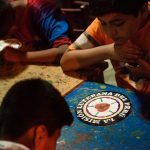 Below: Children work on a craft of the Luther seal following tutoring. During worship, children read from the Bible. In the midst of the dust and the struggles of life in the cerros, Jesus is present. In His Word. In His Supper. In His body. Just as He promised. And He is pleased to be present with His children. Hosch holds Divine Service for the community of San Juan de Lurigancho. On Saturday evenings, the Divine Service is held at Castillo Fuerte, La Victoria. 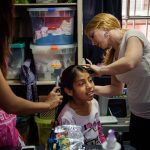 The rest of the week, this Castillo Fuerte location offers safe and affordable care with a focus on Jesus to children whose parents work in the nearby Gamarra textile district and can’t afford to send their children to a safe place during the day. Nov. 4, 2017, was a significant day at the mission — confirmation, complete with cake and cookies afterward. Left: Deaconess Jacqueline Duke works with children at Castillo Fuerte. Right: Deaconess Caitlin Worden de Ramírez styles Victoria’s hair for the upcoming confirmation service. Victoria, Naomi, Siomi and Margiory stood in front of the altar and confessed Christ to the Church and the whole world. These four young ladies made up the first youth confirmation class at Castillo Fuerte, La Victoria. They were joined by two adult confirmands, Walter Fernando and Laura Consuelo. 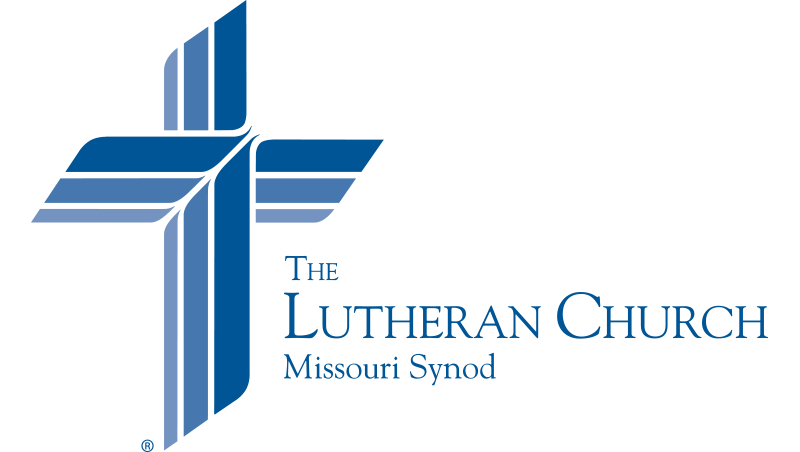 Hosch could not contain his joy as he confirmed each person into the Lutheran church. The same joy was reflected in the confirmands. New confirmands partake in the Lord’s Supper for the first time. The evening highlighted both the blessings and struggles of mission work. The juxtaposition of childlike faith and the influence of the community was obvious. Before worship, at the adult Bible study, one woman spoke her mind. She doesn’t believe hell can exist, she said, because she thinks that all people are basically good. Upstairs, girls prepared to receive Holy Communion for the first time. One of the girls sat patiently as her hair was being curled. Another was nervous and excited as she played with her white dress. Outside on the street, a man dug through trash as he competed with the street dog for daily bread. But the doors remained open. Even though the street noise is distracting, with its barking dogs and car alarms, the open door affords visibility as people witness the worship and hear the singing. The Lutheran liturgy rings out from this group into the neighborhood. A young girl looked longingly as her sister received communion for the first time. A new generation desiring Word and Sacrament. Even in their youth, the young people of Castillo Fuerte are witnessing to the love of Christ to their peers, their siblings and even their parents. 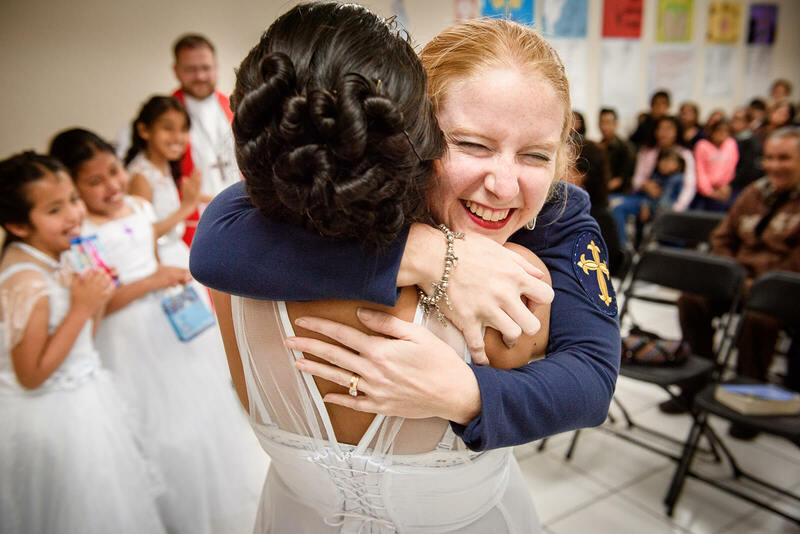 Deaconess Caitlin Worden de Ramírez hugs Naomi following confirmation. And the cold air flowed in, as did the sound of the traffic on the street. People coming and going from the clothes factory that shares the building opened and closed doors and talked. The sounds of the city were as prevalent inside the sanctuary as the music sung by the congregation. Many would consider the noises a distraction. Many would close the doors to keep the cool air out. But the Word of the Lord permeates this neighborhood. It is a word of repentance, mercy, hope and love. It is the message of the cross and the empty tomb. It is the Word of God to Lima, Peru, and to the whole world. Watch as Deaconess Caitlin Worden de Ramírez talks about working with the children in Peru. Across the street from Castillo Fuerte, Krochet Kids works with young mothers to help them get back on their feet. Krochet Kids assists mothers — primarily in single-parent families — who have experienced hardships and made poor decisions. Castillo Fuerte (in the yellow building) as seen from the Krochet Kids factory. By the time the young mothers complete Krochet Kids, they have learned the life skills necessary to get a job, manage their finances and make better life decisions. They are equipped to start over again. Recently, at a ceremony celebrating their completion of the Krochet Kids course, the majority of the women said they couldn’t have done it without also having Castillo Fuerte to provide a safe place for their children to go that is only a few steps away. They don’t have to worry about where their children are while they learn life skills that will enable them to provide for themselves and their children in the future. Hosch says goodbye to children at Castillo Fuerte. In Chorillos, the children range in age from infants to middle-schoolers. Thus, Castillo Fuerte provides different kinds of care. Some children stay all day, while others come before or after school. 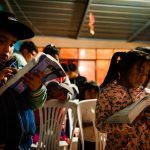 While the children are at Castillo Fuerte, they learn academics, but they also learn about God’s love for them in Christ. Castillo Fuerte: Casa de Misericordia. A Mighty Fortress: A House of Mercy. That’s exactly what this is: a safe place where God’s mercy is available. In Jesus’ name. The Lord is not slow in keeping His promises, but patient. 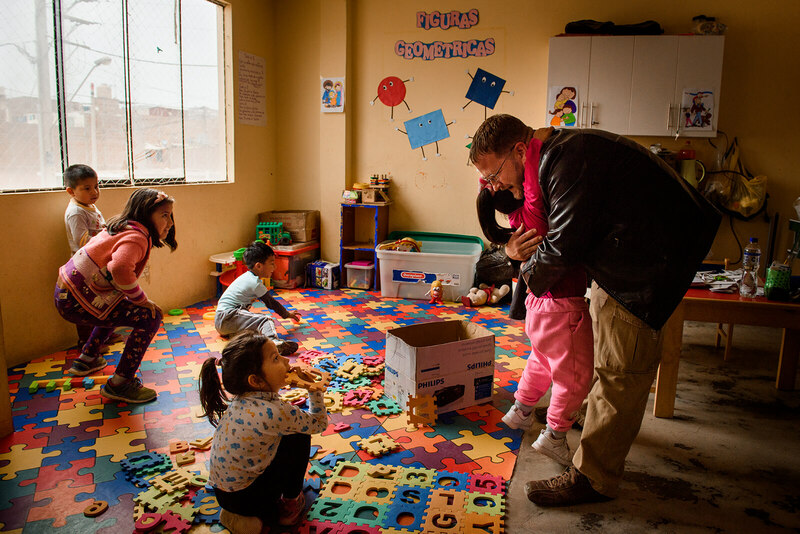 And so the LCMS mission in Peru works with the children of the underprivileged and the disadvantaged. They work with the prayer that the Word of God will produce faith in this generation’s children and their parents. 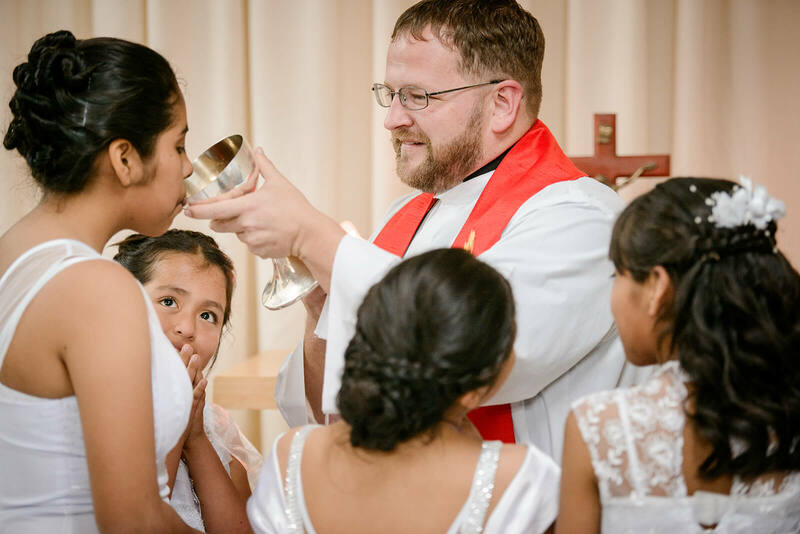 They work with the hope that these children will grow up to bring their children to Baptism and communion. They work with those who need Christ’s love and mercy. They work with those who need forgiveness. They work to show mercy. And the children of Lima need it all, just like we all do. Heavenly Father, You are a mighty fortress and a refuge and strength. Be with the children who need protection and provision. Bless those who work to care for them, and enable their parents to fulfill their vocations. You, O Lord, are a God of mercy. Grant faith and forgiveness to all who hear Your Word through the work in Lima. Bless the missionaries and all who share the love of Christ. Hear us for His sake. Amen.